Mini Lesson on Teaching Children to Accept "No"
Life as a mom of two little ones is constantly changing and keeping me on my toes. Currently, I have one buddy learning the art of the meltdown and another who has gotten very good at verbally disagreeing when the word, "no" is thrown around. We were having a lot of different talks about being a good listener and not a lot of success when I found this book. E turned three in September and I think she is just at the beginning of really understanding the content. 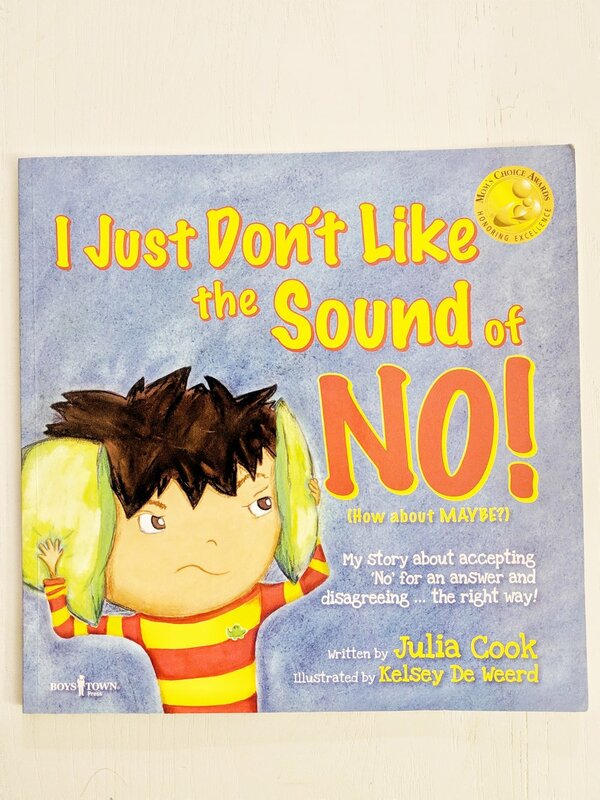 The book gives children examples and understanding on how to accept "no" as an answer. It is by the amazing Julia Cook, who has written a lot of books about different social skills. Some of my other favorites here and here. I created this visual to go along with what we learned from the story. I keep it on our fridge and we can refer to it when needed. It is still hard for E to remember the skills she learned from the book and apply them to a current situation. When we are starting to have a hard time accepting "no" for an answer, I can point the to stop sign, remind her that we don't wine, raise our voice or talk back. We then move on to getting calm and quiet, listen to the REASON behind the no and then have a discussion about it. I know that not all situations allow for slowing down for this process but I am trying to do it as much as I can. Children hear "no" so often and it is important for them to understand why. Most of the time it is to keep them safe and for the well-being! Feel free to send me an email with any questions or if you'd like a variation of the visual. I would be happy to help!